Five journals published by a prominent cancer research society have retracted a total of 10 papers — most of them by a former researcher at the MD Anderson Cancer Center in Houston. Nine of the 10 retractions share that researcher, Bharat Aggarwal, as an author. Aggarwal — who more than five years ago threatened to sue us for reporting on an investigation into his work — is now up to 28 retractions, and has left his post at MD Anderson. The AACR is also appending an editor’s note to eight of his other papers — but it has not explained the reason for what it acknowledges is a lag in moving on these articles. “Unfortunately, we have been delayed in correcting the published record, and for this we apologize,” writes the publisher of The American Association for Cancer Research (AACR), Christine Rullo, in a note in this month’s issue of Cancer Research. Rullo doesn’t say how long the journals took to handle the retractions. The articles by Aggarwal and colleagues date as far back as 2006, and have been cited from 26 to 167 times, according to Clarivate Analytics’ Web of Science. They concern various basic science aspects of cancer, including the study of “natural products” such as curcumin. The tenth retraction includes authors Nivedita Sain, of The Institute for Cancer Research (ICR) in Surrey, UK, and Paul Workman, who is president of the ICR. Both also co-authored a paper in Cancer Chemotherapy and Pharmacology — not an AACR journal — that was corrected in January. We recently wrote about long delays at Cancer Research involving another researcher, Anil Jaiswal. 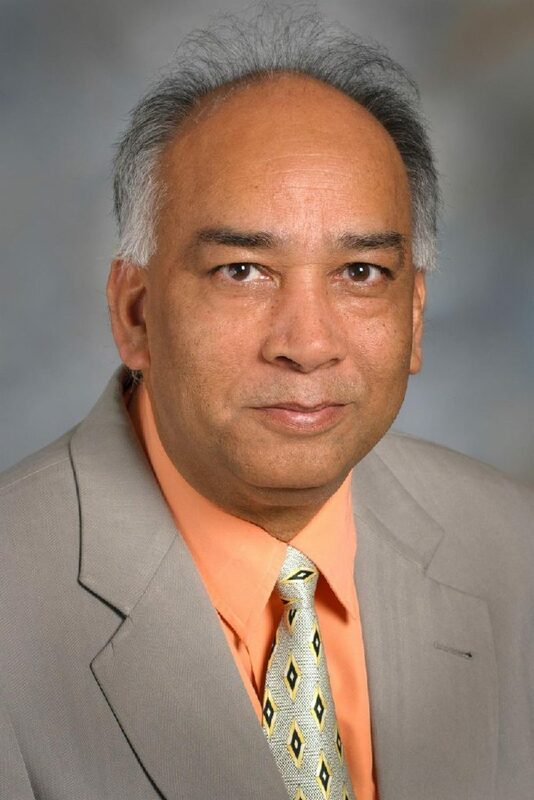 In that case, after nearly two years, some articles that the University of Maryland at Baltimore, Jaiswal’s former employer, had requested be retracted, still weren’t. We have significantly improved our procedures and processes so that, going forward, we can make these corrections to the published record in a more timely manner. It will take several months to publish various types of corrections related to a number of older cases on which we are working. We’ve asked Rullo what led to the delays on the papers retracted today, and will update with anything we learn. … plus sending them to jail. Cheating and misconduct at this level is so hard without support from administration and authorities. Cancer Res. 2008 Feb 15;68(4):1188-97. doi: 10.1158/0008-5472.CAN-07-3268. Silencing of HSP90 cochaperone AHA1 expression decreases client protein activation and increases cellular sensitivity to the HSP90 inhibitor 17-allylamino-17-demethoxygeldanamycin. Holmes JL1, Sharp SY, Hobbs S, Workman P.
Cancer Research UK Centre for Cancer Therapeutics, The Institute of Cancer Research, Haddow Laboratories, Sutton, Surrey, United Kingdom. Mechanistic evaluation of the novel HSP90 inhibitor NVP-AUY922 in adult and pediatric glioblastoma. Gaspar N1, Sharp SY, Eccles SA, Gowan S, Popov S, Jones C, Pearson A, Vassal G, Workman P.
Signal Transduction and Molecular Pharmacology Team, Cancer Research UK Centre for Cancer Therapeutics, The Institute of Cancer Research, Sutton, Surrey, UK. We have significantly improved our procedures and processes so that, going forward, we can make these corrections to the published record in a more timely manner. This AACR announcement will alarm a few authors. Cancer Res. 2007 Mar 1;67(5):2206-16. In vitro biological characterization of a novel, synthetic diaryl pyrazole resorcinol class of heat shock protein 90 inhibitors. Sharp SY1, Boxall K, Rowlands M, Prodromou C, Roe SM, Maloney A, Powers M, Clarke PA, Box G, Sanderson S, Patterson L, Matthews TP, Cheung KM, Ball K, Hayes A, Raynaud F, Marais R, Pearl L, Eccles S, Aherne W, McDonald E, Workman P.
Haddow Laboratories, Cancer Research UK Centre for Cancer Therapeutics, The Institute of Cancer Research, 15 Cotswold Road, Belmont, Sutton, Surrey, UK. Wow, corrupted people simply waste, steal and ruin large amounts of public funds and contaminate scientific literature with false information, then just leave with no thorough investigation and discipline and no cost to them and their fellow gang supporters. It is so bad and disappointing! So much more to do . . . The reuse of images has been explained to the Committee, but was not disclosed in the figure legend. The bands in Input 4B for pcDNA, Ik1 and Ik6 are identical to those seen in 4C and 4D, but in 4B they are flipped horizontally, and with grayness adjustment/exposure change. The control band in the published image in 4B is seen in the primary data adjacent to the band indicated as pcDNA. Drs. Ezzat and Asa agree that the inputs are identical and in the case of 4B, part of the image is flipped. A satisfactory explanation for these irregularities has not been provided. The report notes many more image irregularities than described above, many of them with conclusion “A satisfactory explanation for these irregularities has not been provided”. Thus even though “corrected” images were supplied and some sort of correction generated, the journal still shows no correction, no expression of concern or any other clue that problems exist for this paper. Readers of this paper should be aware of the findings of the University of Toronto’s University Health Network Research Internal Investigation Committee Final Report concerning irregularities in published papers of Shereen Ezzat and Sylvia Asa. – Control band in lysate primary data does not match published image. – Drs. Ezzat and Asa claim they have already addressed these concerns to UHN’s satisfaction on April 11, 2013. The original concern presented involved possible cloning of bands. Image analysis demonstrated that although the images have undergone a number of digital processing steps, the published images can be reproduced from the primary data. However, the control band for lysate does not match the primary data. While the initial concern had been addressed, a satisfactory explanation for the additional irregularity relating to the control band has not been provided. Confidential UHN research records obtained by the Star reveal an UHN investigation of nine papers co-authored by the couple was completed last year. “Examples of fabrication, falsification and/or material non-compliance were evident in a majority of the papers,” UHN investigators Christopher Paige and Dr. Charles Chan concluded last October. The court document says a former employee of the lab, Xuogong Zhu, told the committee he had changed images in two of the papers under investigation. It goes on to say Zhu reported that use of Photoshop — a computer program that can alter images — was common in the lab in question. Another member of the lab staff, Wei Liu, told the investigating committee that a third member of the staff, Miao Guo, told him she had altered an image to enhance it, after seeing Zhu do something similar. Liu told the hospital he reported Guo’s action to Ezzat but the court document says Ezzat denied the conversation took place. Later, Liu said he believed it was Asa he had told. Clin Cancer Res. 2011 Mar 15;17(6):1561-70. doi: 10.1158/1078-0432.CCR-10-1927. Epub 2011 Jan 28. A phase I study of the heat shock protein 90 inhibitor alvespimycin (17-DMAG) given intravenously to patients with advanced solid tumors. Pacey S1, Wilson RH, Walton M, Eatock MM, Hardcastle A, Zetterlund A, Arkenau HT, Moreno-Farre J, Banerji U, Roels B, Peachey H, Aherne W, de Bono JS, Raynaud F, Workman P, Judson I. 5 School of Chemistry, University of St. Andrews, Fife, Scotland, KY16 9ST, United Kingdom. All the AACR journals should dedicate at least one issue only containing retractions of their previous false publications. There is a loooong list of train wrecks that must be put to the graveyard. AACR could start with the Pubpeer journal service, with a list of houndreds of papers. Doing that would be the best contribution AACR could do for the achievement of cancer research and better hope for cancer patients in the future! and never saw any reply or action. and have seen no action on these. yet still no action on the dodgy publications I listed above. clearly applicable for the questionable papers listed above. Why do these editors and publishers write these editorials that they do not follow through on? What, if anything, do COPE guidelines mean? Really unfortunate that leadership on policing scientific journal articles is so unforthcoming. Next time you write to Justin Stebbing could ask him about this paper? Until academic research by every PI and team is conducted in accord with GLP practices, and is supervised by a sound quality management system (QMS) that enables all data (hand written records, electronic media – including analytical machine printouts, storage media of electronic data, and hard drive stored data) to be audit ready and available for inspection by grant funding agencies, academic grad students, post-docs, PI’s and others in the research framework will continue to defraud, lie, cheat, synthesize, fabricate and misinform. The attraction and motivation for these disgraceful and fraudulent criminals is simple: 1) Grab more grants than “you”, 2) publish more papers than “you” , 3) Expand “my” empire, 4) Stoke the furnace of “my” ego, 5) to do everything possible – legal and illegal for “me” to be first. There is an inordinate amount of pressure on PIs to produce, publish and succeed. If that means cheating, lying, committing fraud and simply risking being a criminal and fellon and going to jail – these PIs who think they will get away with it – will risk everything. As a community and country, we need to be tougher, and more vigilant to seek out and deal severely with these abusers of the abusing few of the system. Fines, civil penalties and prison time should be part and parcel of the price of crossing the line and breaking the law. Scientific fraud has to stop and must stop. It is defrauding the intellectual truth and pursuit of honest reporting, and it is defrauding the tax payer and/or grant funding agency. Academic science and their PI messengers will soon be supervised by new policies and practices that will fine them, imprison them, and maybe even deport them, should any fraud and abuse of U.S. taxpayer funds be uncovered and proven. This has to end NOW. Second Paul Workman 2018 correction. Next Next post: It’s official: They’ve retracted happiness.